MAN UP AGAINST BULLYING™ gives hope, teaches innovative ways to resolve conflicts, and empowers everyone to embrace their individuality. Featuring the most tenacious goal oriented programs and dynamic motivational performers/speakers in the industry, MUAB connects and builds safe cohesive communities, schools/universities, and work place with non violent educational approaches throughout the nation. What began as a community service platform inspired by Tiffany Love, is now a powerful national anti-bullying movement that has reached over 350,000 throughout the nation.  MAN Up Against Bullying™ teaches the importance of not bullying, why bullying isn't cool, what to do if you are being bullied, and how to effectively tell someone. Uniquely structured through innovative anti-bullying rallies, the MUAB Tour consist of self-esteem building, parental and youth structuring, suicide/bullying and alcohol/drug prevention, and the importance of using words to motivate and build healthy relationships through the influence of UNITY.